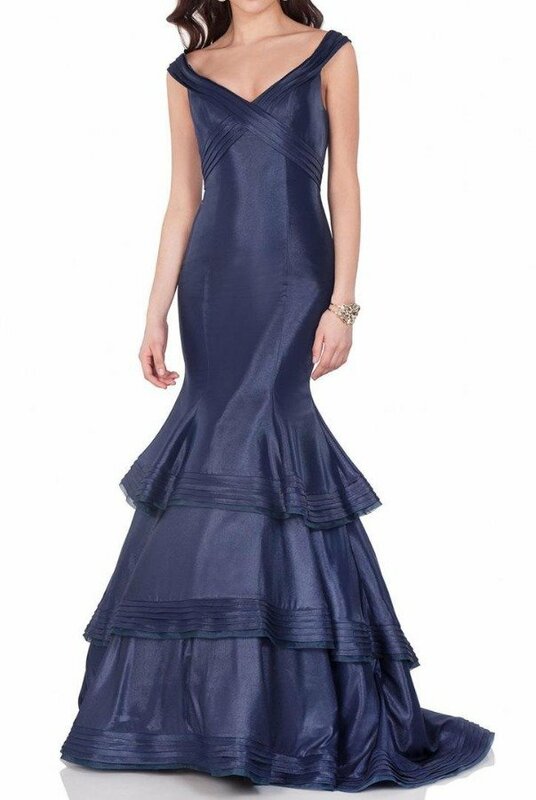 Go for a chic look in this Terani 1623E1655 evening gown. This dress displays an off-the-shoulder, V-neckline with textured detail at the upper portion. The sleek bodice has a form fitting silhouette. The skirt features tiers of delicate ruffles for a refined look. This gown is full length. This Terani dress is an excellent choice if youre going for a timeless look for your special occasions. 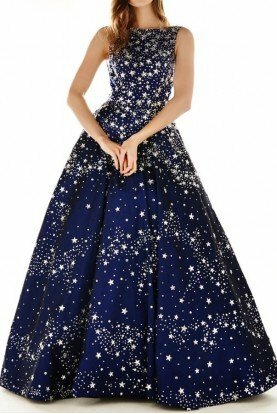 Model is wearing Navy color.